I found this interesting tool on DeviantArt (thanks to @BruskyPoet) and thought I'd do a couple of rosters. 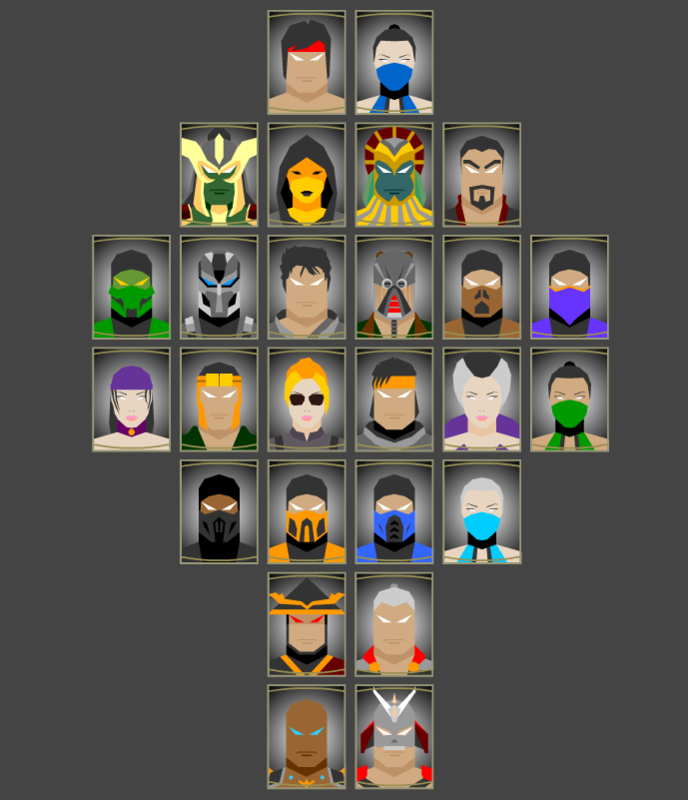 From what we've seen so far, this looks to be more or less the actual MK11 roster. It's possible those 'secret' codes are new characters, in which case switch out Rain and Reptile for them nearer the time. I've heard this, but I don't believe it. You realize I linked to this in the OP? Okay so I'm playing around with this. It's really cool. How do you get the middle slot at the bottom? I can't seem to figure out how to put one there unless it's in the column. Scroll to the right of the screen, as if you're veering off it. There's a button that appears called Uneven. Oh, whoops, no, didn't realise that. Okay, so this is what I came up with after a lot of thought and planning. It's the 'leaked' roster and then some additions from myself. Who hasn't been leaked yet, that I added to the main roster: Goro, Noob, Rain, and Kenshi. I added Goro because I feel like with the whole 'time-traveling' motif that they're going with, it would only be right to have every boss in the game. Then I added Noob and Rain because I sorta feel like they're givens since they were on the menus and of course fan requests. And I added Kenshi because I feel like he's gotta be a mainstay at this point. BUT, if he isn't in, I'd put Takeda there. I feel like one of them oughtta be in. 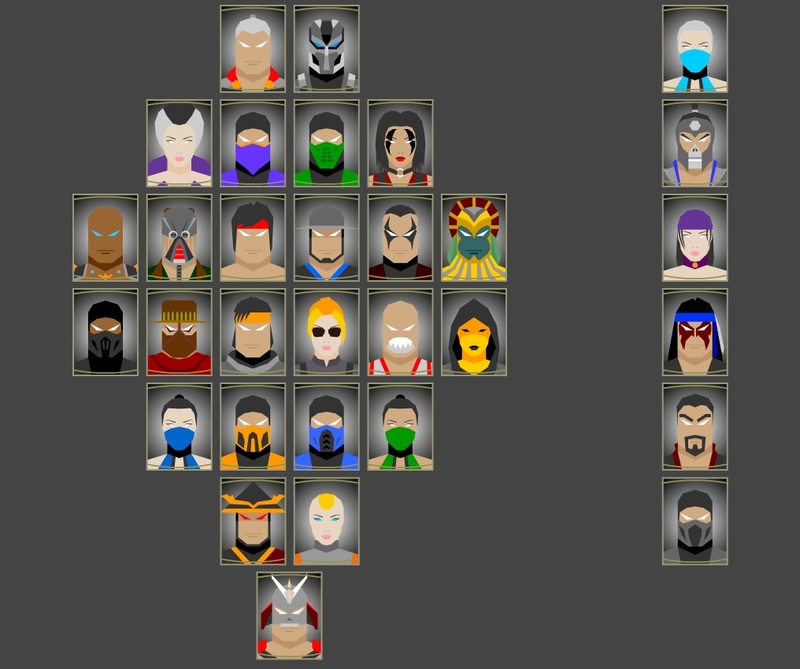 I also added Kronika because, while I don't know if she'll be playable or not, I needed the 25th character in case Shao Kahn didn't count as one of the 25. If he does, then you could remove her or if not you can add whoever. The first Kombat Pack: Shang Tsung, Havik, Sindel, Nightwolf, Pinhead, and Pennywise. Shang Tsung, Sindel, and Nightwolf all being the fan favorites from MK9 that weren't in MKX. Pinhead and Pennywise, of course, being the guests of this pack. Kombat Pack 2: Smoke, Hotaru, Li Mei, Reiko, Michael Myers, and Spawn. I know, a lot of 3D era characters in that one. I just felt like you couldn't have Havik without Hotaru, The Cleric of Chaos and The Enforcer of Order. Perfect parallels! Li Mei is one of those characters that I'm not entirely gunning for, but neither is Sereena. So, for that slot, you could put either of them and I'd be okay with that. Or Kira, Khameleon, Ashrah, or Nitara. Reiko I just feel would be badass, that's just me. And you gotta have the general to Shao Kahn's army if the Kahn himself is in! Michael Myers and Spawn are the guests of this pack. I feel like Spawn would be the big selling point for this pack obviously since he's the most requested character in the history of video games. Michael Myers I'm pretty meh on honestly. He could be cool. 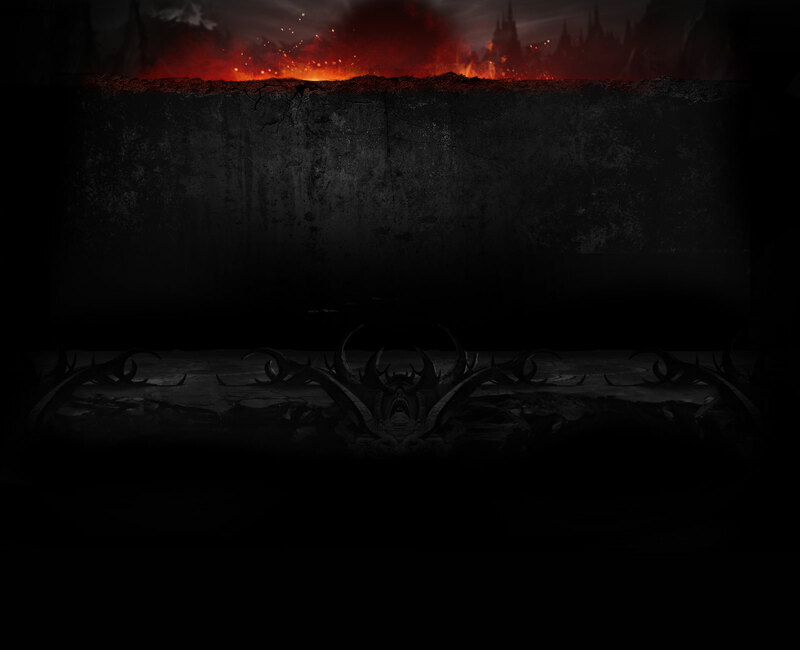 BUT, if Kombat Pack 2 isn't a thing I'd put Spawn in Pinhead's place for Kombat Pack 1. That's just sorta what I wanna see in terms of a roster with what we have now. I don't necessarily have a 'dream roster' cause I'm kool with whoever. I've got Kitana and Jade. The only character I WANT to see is Pennywise, but I feel like he's more than likely. @Eldriken please do your magic. Whats with you tattletale'ing to mommy and daddy all the time? This is definitely worth a post. The avatars are hilarious, probably going to make one my profile pic when I find my main. Parents sit out after the MKX story, with the Kombat Kids assuming the big heroic role. 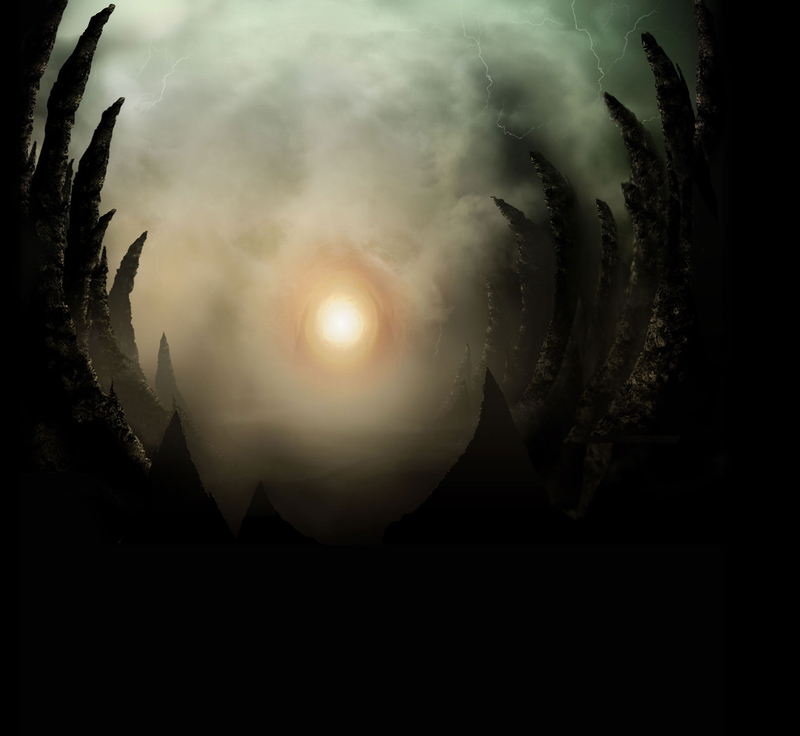 Kotal Kahn's Outworld group returns, with Tanya and Rain as conscripted prisoners in place of D'Vorah and F/T. D'Vorah is up to some agenda of her own. Liu Kang and Kitana lead the armies of the Netherrealm, featuring Sindel, Kabal, and Kung Lao. Jade is up to some agenda of her own. Shang Tsung brings Mileena back from the dead now that he's back from the dead. 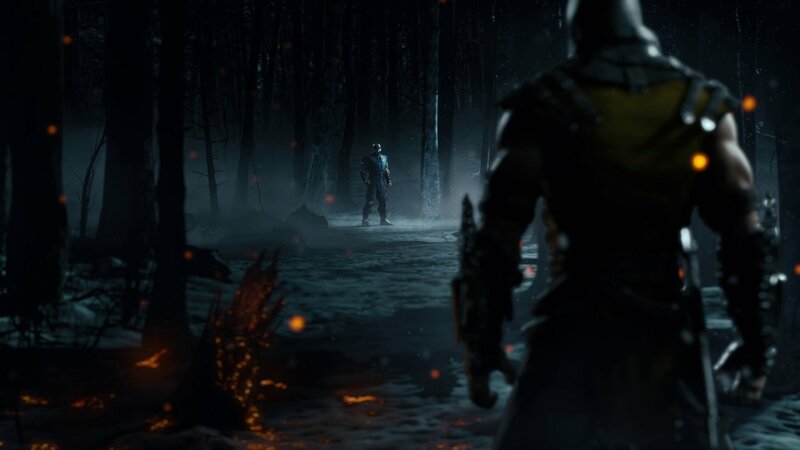 Scorpion and Sub-Zero team up, and Frost helps out the Kombat Kids. Skarlet is around because why not, but you could also replace her here with Kano's son from his MKX ladder ending. Raiden and Shao Kahn are in some kind of shenanigans situation with the timeline. Fujin and Li Mei are here getting promoted from their MKX NPC status. Geras and Kronika are up to no good. 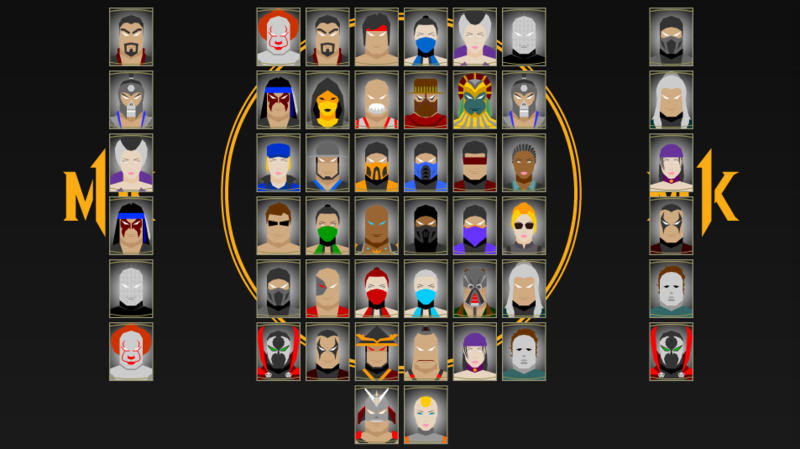 DLC pack one: Baraka, Sheeva, Noob Saibot, (three guests). DLC pack two: Sareena, Nightwolf, Ashrah, (three guests). Tie Sareena, Noob, and Ashrah together as part of a Netherrealm subplot. Definitely prefer your roster more, but NRS doesn't seem to care what the fans want which is fine. It's their game I suppose. 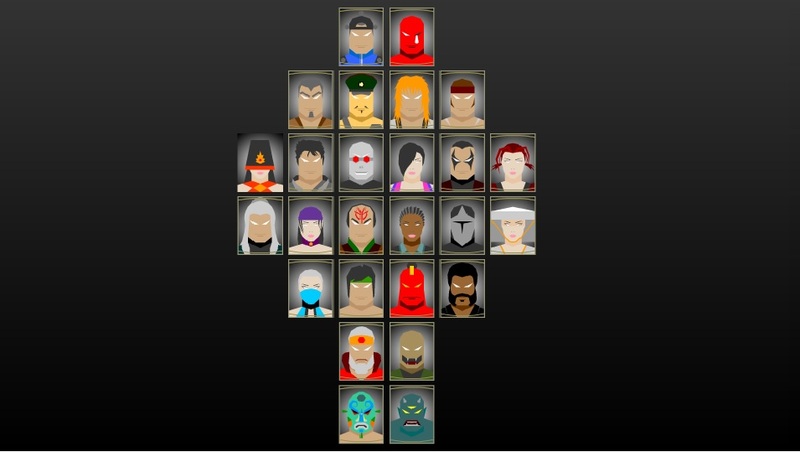 I wouldn't piss on this roster if it were on fire...it would be the last roster ever, NRS would go bankrupt. Just give me Noon, Skarlet, Kenshi, and Ric Flair as DLC and I'll WOOO be happy. 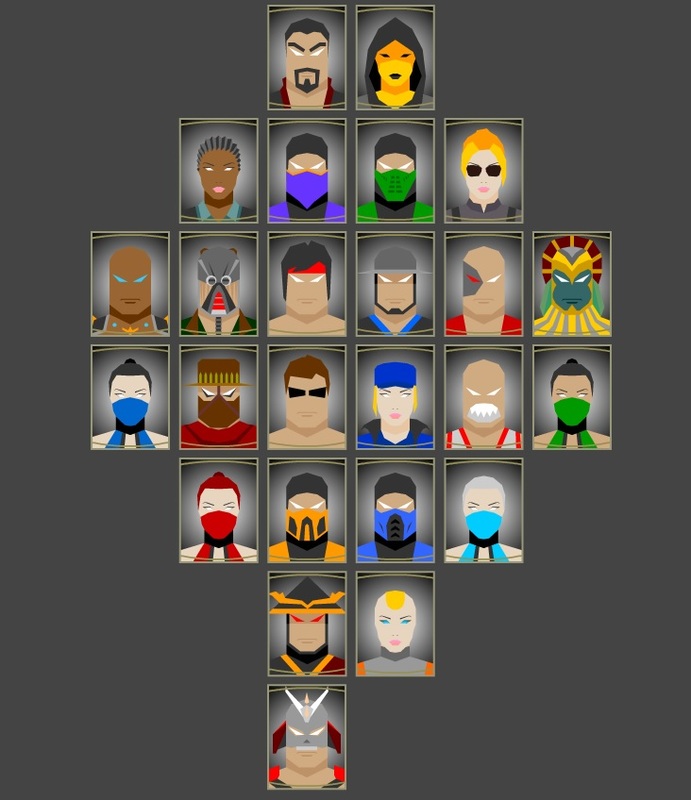 This would be my ideal base roster in a MK game: At least 6 ninjas. At least 5 kunoichis. At least 2 cyborgs (I prefer Human Smoke over Cyborg Smoke, but eh - since he is my favorite boi I'd take any version of him. 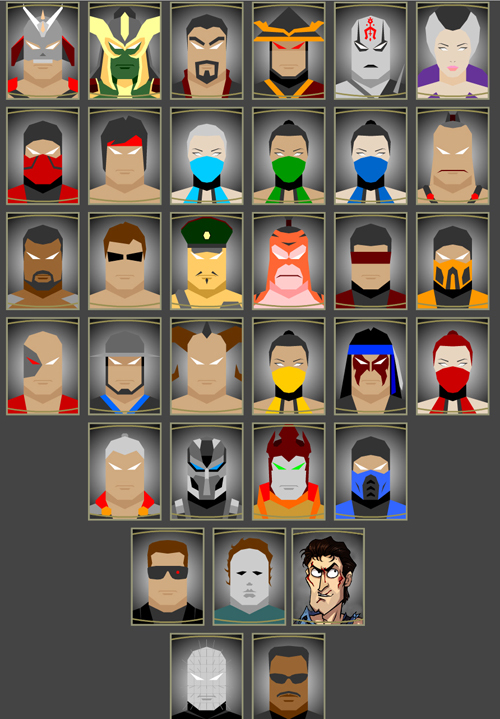 If a MK game doesn't have enough ninjas and kunoichis and cyborgs, it just doesn't feel complete in my opinion. What I always liked about MK were the palette swaps for some reason. It's like.. each individual ninja had their color and their power set / gimmick. Scorpion with the spear and the fire, Sub-Zero with the ice, Noob Saibot with the oil shadows and so on. To me Mortal Kombat is about ninjas and sorcerers. And that's stuff I don't see as much from characters like Cassie, Jacqui and some others. Especially visually. 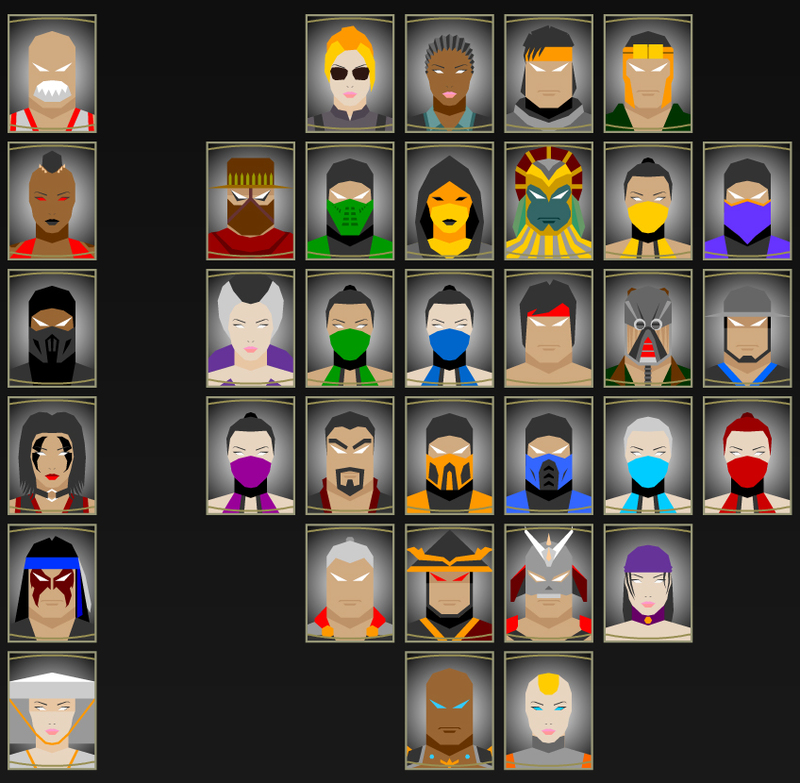 And yes, for the most part that's pretty much the MK9 roster. Which was absolutely perfect. 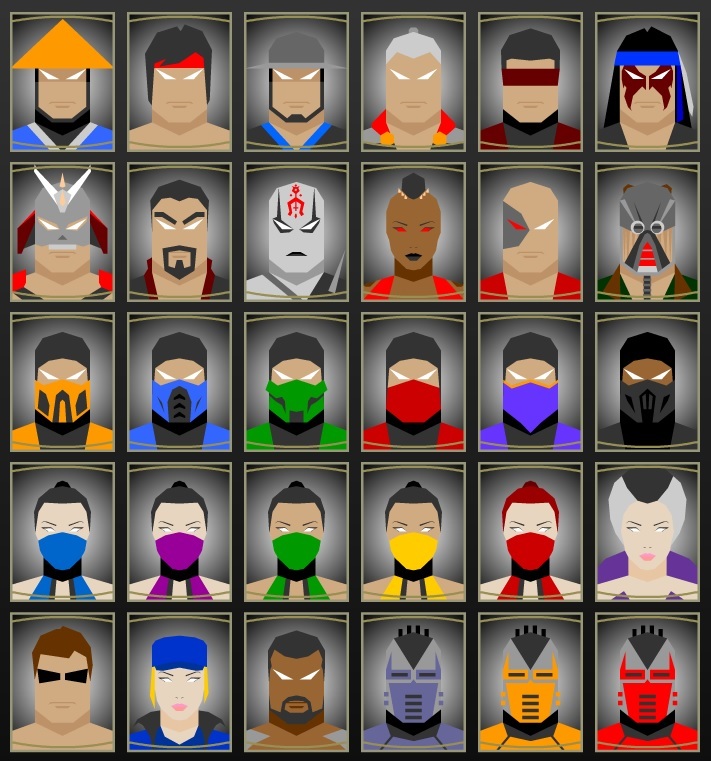 Gimme most of those characters over the Kombat Kids any day of the week and twice on Sunday.